Eylure was a company that made fix-on eyelashes, finger nails and eye cosmetics. It was founded by the Aylott brothers – David and Eric, who were two professional film make-up men. By this time Eylure Cosmetics had moved to much bigger premises at 58-60 Bridge Road East, and was producing several types of false lashes, fingernails and eye make-up products. In 1966 they were presented with one of the first Queen’s Awards to Industry for their export achievement. They were in WGC in 1970 when the larger photograph on this page was taken but does anybody know when they closed? They had a factory in Cwmbran, Monmouthshire. Perhaps that is still going for as a product Eylure still exists. 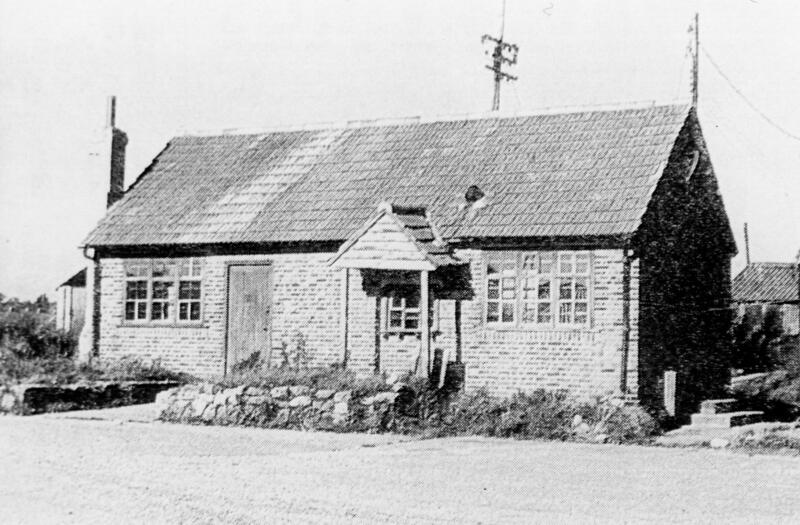 Did you, or one of your family, work at Eylure during its heyday in WGC? If so, why not log on and tell us your memories of the company, what you did there and the people you worked with. This page was added on 29/09/2009. I am married to David Aylott! The original David Aylott’s grandson!! They sold the Eylure company many years ago . (Addition to my comment in August 2013). When the company Eylure Ltd was taken over by Nobel, the Eylure brand was not included. My memory is that it was sold to Sally Hansen – one of the Eylure brand’s fiercest rivals. yet here we are in 2018, and Eylure lashes continue to be made and sold – seen in Morrisons in Leeds today! I see in the comments above mention of John Savile – who I worked for – and Mike Fozard, the sales manager, with whom I worked very closely. Funny how the memories come back once someone nudges them! 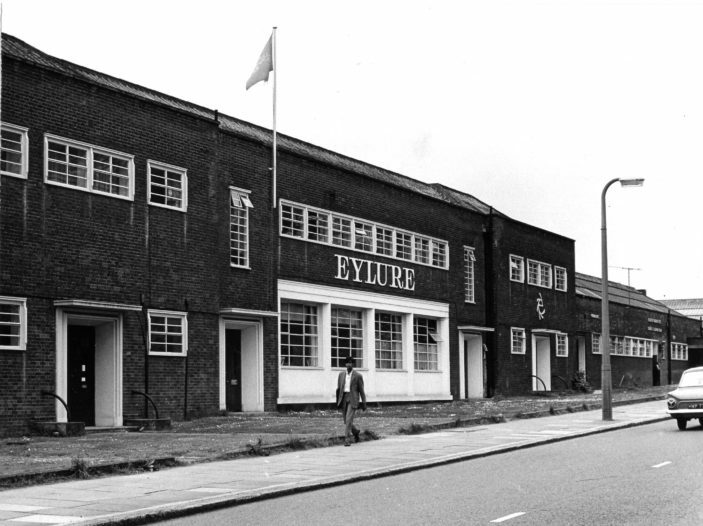 The happiest years of my business career were when I joined Eylure in the early 1960’s! Bill Watson was the Sales Manager, he employed me as their first Representative. Although the MD Mr David Aylott asked me to stay I did not want to move to South Wales. During that seven plus years the Company grew incredibly. By then I was Assistant Sales Manager with two Area Managers, twenty Rep’s, two female Consultant Supervisors and approximately forty Department Store Consultant to look after! Stuart Aylott, Mr. David’s Son became one of my Rep’s. By the time I resigned he had stepped over me and not on me (I’m glad to say) and was Marketing Manager. Stuart and I became very close friends but sadly lost touch some years later when with he moved to the West Country with his family and we moved to The Norfolk Broads. If you should read this Stuart please contact me, it would be great to catch up. Bill Watson was Eylure’s Sales Manager he employed me as their first representative in the early 1960’s. The next seven years were the happiest of my whole career! Although the MD David Aylott did his best to get me to move with them, I did not want to move to South Wales. In the time I was with the company, I rose to Assistant Sales Manager with two Area Managers twenty Rep’s, two female Consultant Supervisors and approximately forty Department Store Consultant. During this time Mr David’s son Stuart became one of my Rep’s. I’m glad to say he stepped over me & not on me as by the time I left he was Marketing Manager. Stuart was one of my closest friends for many years but unfortunately when he moved to the West Country with his family & I moved to The Norfolk Broads we gradually lost contact. If you should read this Stuart please email me, it would be great to get together again! I was also at the High School with Elizabeth (Liz) Aylott. Annie Aylott was my grandfathers sister, my grand Aunt, I am now 80. Apparently I was a twin to Auntie Annie. There were three children Annie, Victor and Bob. Annie was married to Dave Aylott, I visited them at their home in Welwyn Garden City in the 50’s I would love to make contact with anyone related to me no matter how distant. My facebook account is Roma Marchetti Nugent, Dallas Tx. I worked at the cwmbran factory I was one of the few boys. in the early days I was a cutter when eye lashes where made frome seal skins. then I worked in the stores.it was the Best job I ever had I’m now 57 years old. I would like to contact Felicity Nee Arch, who wrote a comment December 2013, we were very good friends at school my email is steveden101@sky.com Hope she sees this! Like some of the contributors above, my mum was an outworker for eylure making eyelashes. I remember the grey head (45+ years later) – I remember the tracing paper and watching her make the eyelashes, the smell of the glue and the little bags they went in – we would then get the bus to the town to take them to the factory in Bridge Road – this would have been mid 1960s. I remember the Eylure Company and Gordon & Nancy Aylott some fifty years ago. I was a school friend of Denise Aylott and would like to be contacted. I joined Eylure Ltd in Cwmbran, near Newport, Gwent, in January 1988. By that time, Eylure eyelashes were part of a wider portfolio which included Eylure false nails and manicure tools; fragrance brands such as Lanvin, Tabac Original and Pierre Cardin; Elgydium toothpaste; Klorane herbal shampoos; and Bonne Belle skin cleansers. The Eylure Company was then taken over by Nobel Cosmetics and moved to Swindon in late 1989 or early 1990 – at which time Eric and David Aylott left the business. Nobel, in turn, sold the Eylure portfolio (now including Silkience and Henara haircare and Malibu suncare ranges) to Henkel Cosmetics, and the marketing operation was moved to Henkels’ offices in Enfield in May 1992. Hi my mum also worked making eyelashes at home and up until 2000 we still had two of the model heads and my mums tools also my mum did homework for barnet combs anyone remember them? are they were good old days. Dave and Eric are my uncles, my father is their younger brother Gordon who also worked at the Bridge Road factory, my mother Nancy is the lady in the film making the lashes. Zena, Dave’s wife is the lady putting on the lashes. Unfortunately they have now all passed away. I also worked at Bridge Road in the late sixties before they moved to Cwmbran, I would love to hear from anyone who worked there during that time. David and Eric Aylott were my mums uncles (her dad was their brother). My grandmother is the 1st lady shown in the video clip. My mother, Myfanwy (I think she might have been known as Peggy when she worked there), worked at Eyelure at the factory. She also obviously brought work home too as my sister and I used to help cut the eyelashes and put them in the packs. I do have some photos of one of the Aylott brother’s wedding that mum attended. She loved it there. She said that they were very happy days. My mother also worked for Eylure making eyelashes at home in the 1970’s. I too remember her sitting at home making lashes every evening. I also went to the Welwyn Garden city High School with Elizabeth Aylott (the owner’s daughter) and would love to get in touch with her again. My Mum worked for Eylure but not at the factory. She was an out worker. I can remember as a child the grey head sitting on the dining room table with these eye lashes looking at you. She said she had to take the completed work to the Bridge Road factory. This would have been in the 1960’s.